We've got a dozen taps of epic craft beer from ourselves and curated guests from the Columbus area, Ohio and further afield. And this is just the start! Our taproom features a gaming area with epic shuffleboard and pinball machines to while away the time between beers. Our crewmembers staffing DogTap are on hand to help you in any way they can, so if you have any questions about BrewDog, our plans for Ohio and the US or anything about our beer – just ask! We will be running beer schools and tours led by our team too, to give visitors a better chance to get a feel for how we create our beers and exactly how we want them to taste. 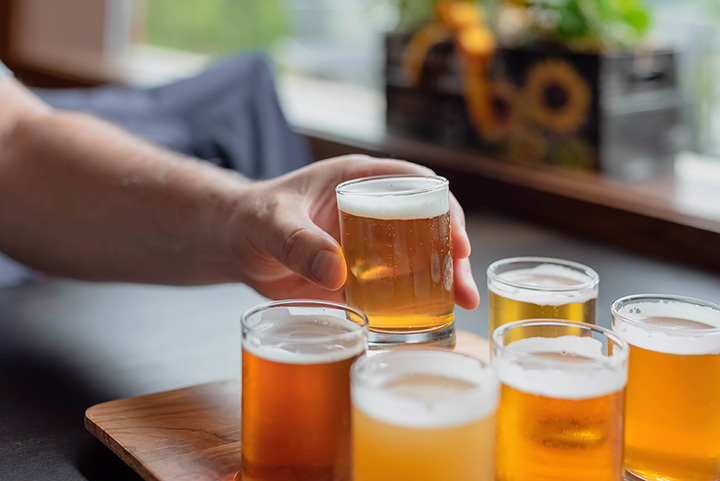 And if that's not enough for you, DogTap Columbus also has a premier craft beer restaurant serving up freshly-cooked-to-order burgers, salads, pizzas, awesome bar bites and sharing boards. Perfectly paired, every time.